The stately Fire Island Lighthouse dates back to the 1800s and is a familiar landmark on the barrier island where it stands 167 feet above sea level, and can be seen more than 20 miles away. On the National Register of Historic Places since 1974, the decommissioned lighthouse is open to visitors, and those in good physical shape can walk the 157 steep steps and two small ladders for a view from the top of New York's tallest lighthouse. 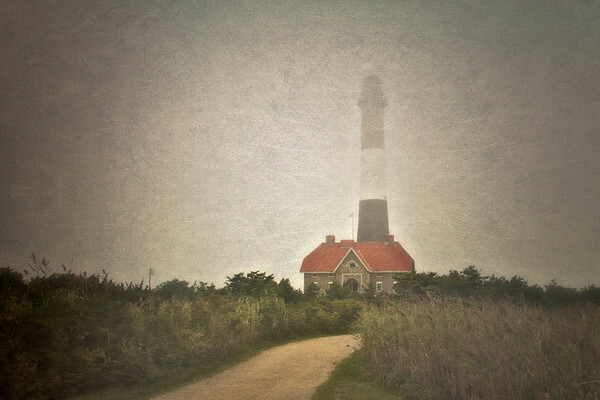 Tales of shadowy figures, ghostly laughs, otherworldly banging noises and legends of hefty doors opening and closing by themselves surround the Fire Island Lighthouse. Would you like to visit? See if it can make a believer out of you! Read more about it here!